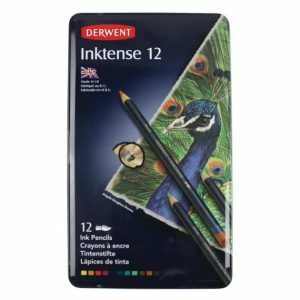 When choosing between pencils for your treasured art box, it’s not easy to understand the qualities of each and every pencil, especially when the selection on offer from Derwent is so vast and varied. For example, Inktense and Watercolour collections are easily confused. 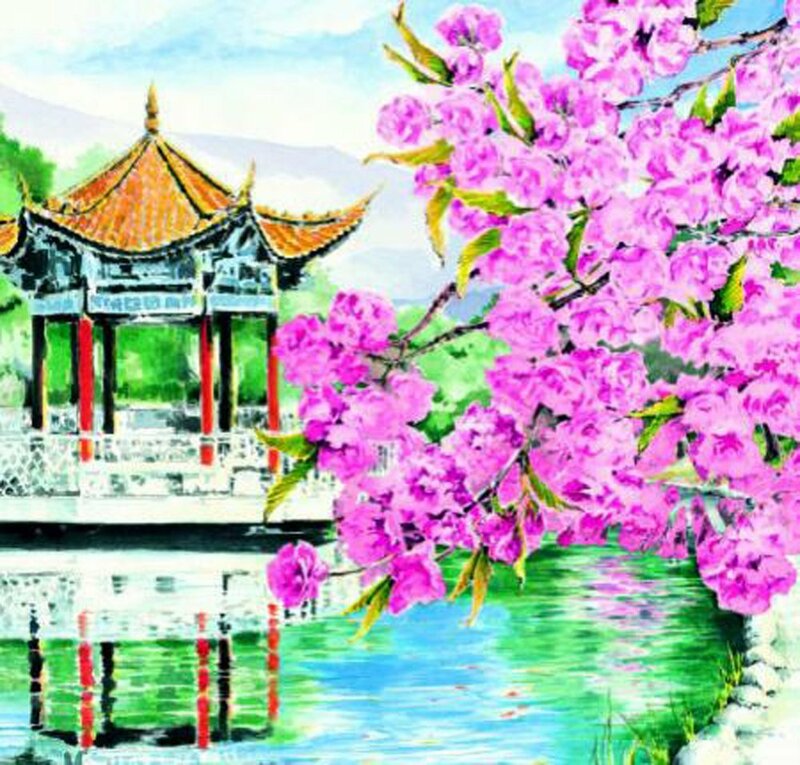 So whether you wish to create a watercolour wonder or make a bold splash with Inktense, this blog will help you understand the difference. Although both pencils are water soluble, Inktense and Watercolour perform differently once they have dried. 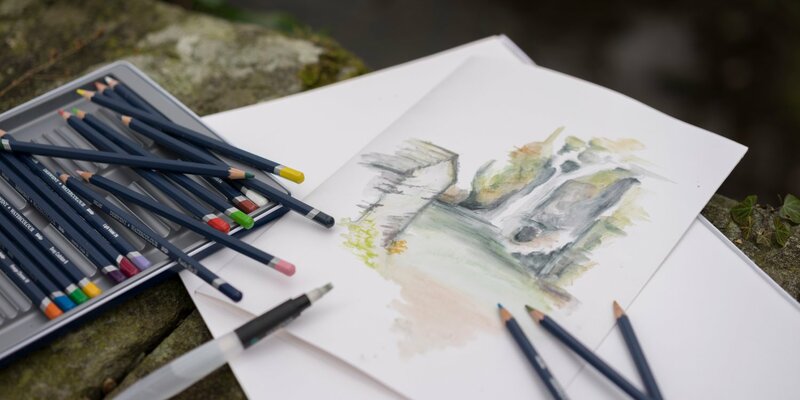 Layers created with watercolour pencils can be re-worked by adding water on top – great for blending and layering to create nuanced light effects. Inktense, on the other hand, dries to a vibrant ink-like layer which is permanent so layers added on top don’t affect the underlying layers. The bold immediacy and intensity of the colour has a real WOW effect. Bolder colours makes for bolder art with Inktense. Both pencils are highly blendable but the formulation of each pencil varies. The softer formulation of Watercolour makes for easy transfer to paper, whilst Inktense has a harder, waxier laydown. Inktense cores are also slightly thicker and feel chunkier to hold. Put side by side, the obvious difference is that Watercolour pencils have a hexagonal barrel. This gives a good grip for more detailed, subtle work such as architectural or botanical subjects. On the other hand, Inktense pencils have a rounded barrel allowing for more broad, expressive strokes covering large surfaces. The versatility of Inktense makes it a popular choice: from the wide range of colours in the tin to the wide application on different materials. Inktense works well on silk and cotton – perfect for decorating cushions or or unique t-shirts. Although they are separate ranges, Inktense and Watercolour are ideal to use together! A wash of pinks, greens and blues from your Watercolour tin could be complemented with Inktense layers to warm up or cool down shadows, distant mountains and skies, or add accents to plumage and hair. See what works best for your preferred subject matter. 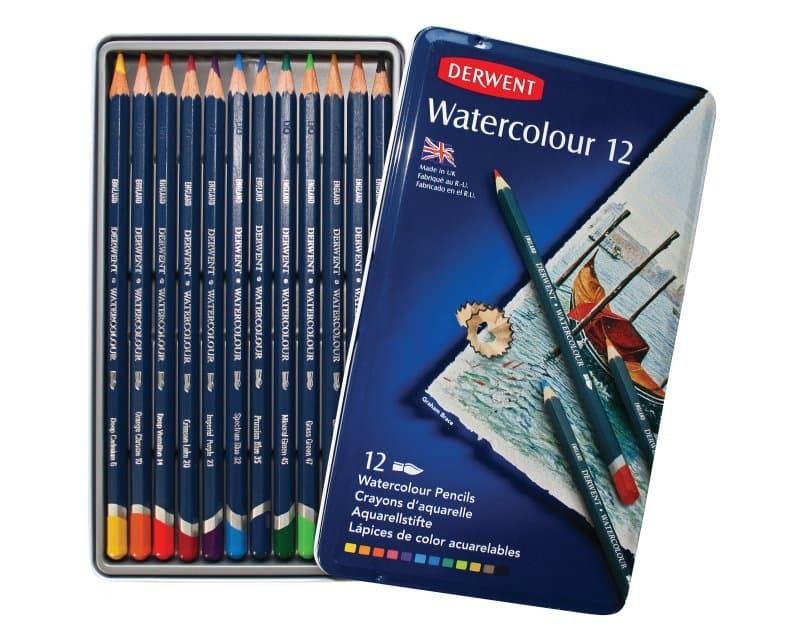 So whatever range you choose, you can be sure that with Derwent that you’ll get quality and trustworthiness every single time you open your art box. It’s just a tough decision of which pencil to use first. 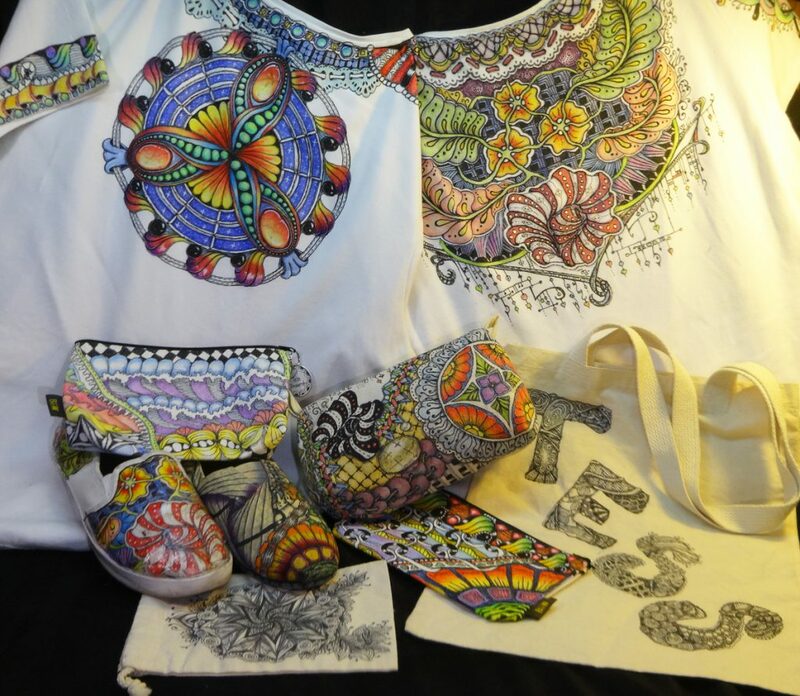 Is a textile medium necessary to use Inktense in fabric, T shirts, and tc.? Hi Cathy, no, you can also use Inktense on paper for bold art! thanks, this will help a lot of people. Hi Rebecca, once you add water Inktense is permanent and becomes an ink. Tess Imobersteg recommends using a sealant though. Check out her blog! Thank you for sharing this information, it has been very helpful. I use watercolour pencils and really like them and although I haven’t tried Inktense yet I think I might, just to lift the colours a bit more.